Being a parent is difficult at times, and although it's all worth it, it's also so exhausting. 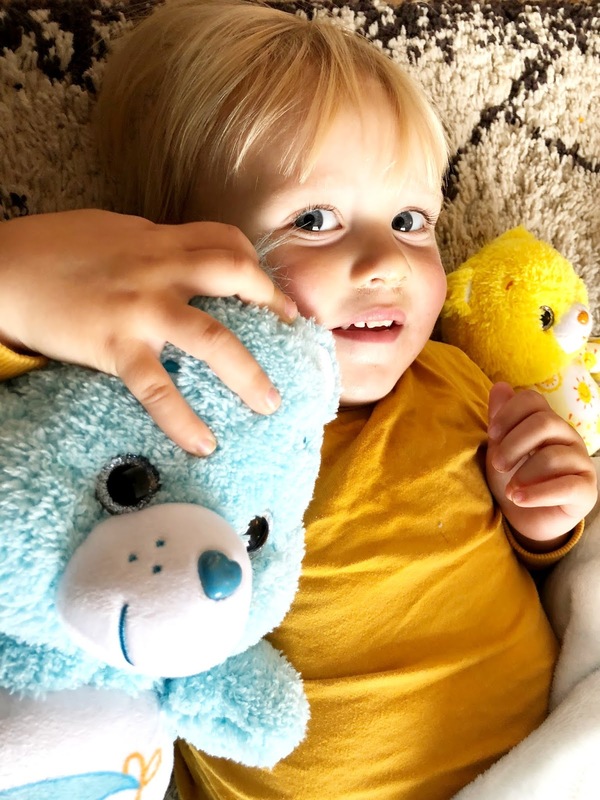 This past month has been so busy for us, Freddie started nursery twice a week, along with lunch club, Mia and Elliw started back at school, and I've been getting back into our school routine. Surprisingly, it's all going really well so far, but there are days where I do find it tough and those days are the days I just want a break. We all deserve a break now and then, time to wind down and think about ourselves for a change. 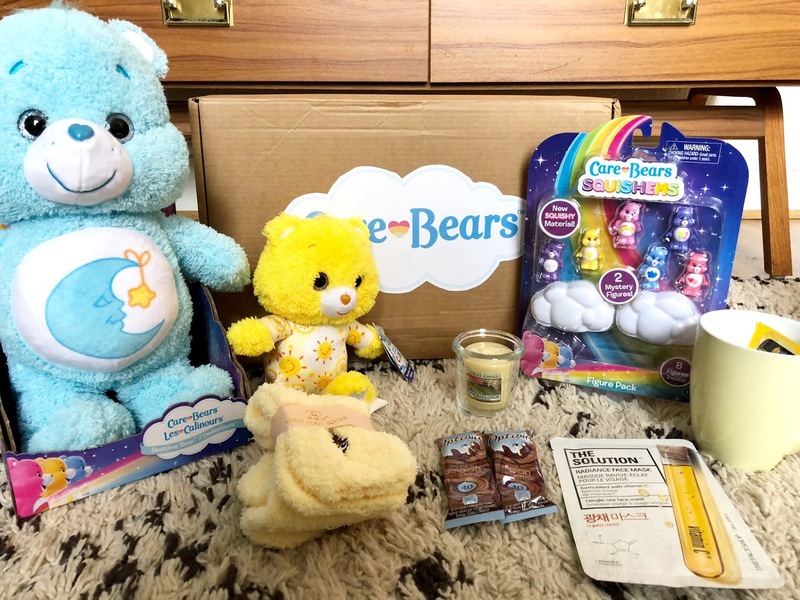 We were recently sent a lovely Care Bear Care Package that included a few care items, and a few of the new Care Bear collection. The care items included were: a pair of fluffy socks, perfect for winter time, a mug, hot chocolate sachet for the cold nights, a stunning candle and some sweets. 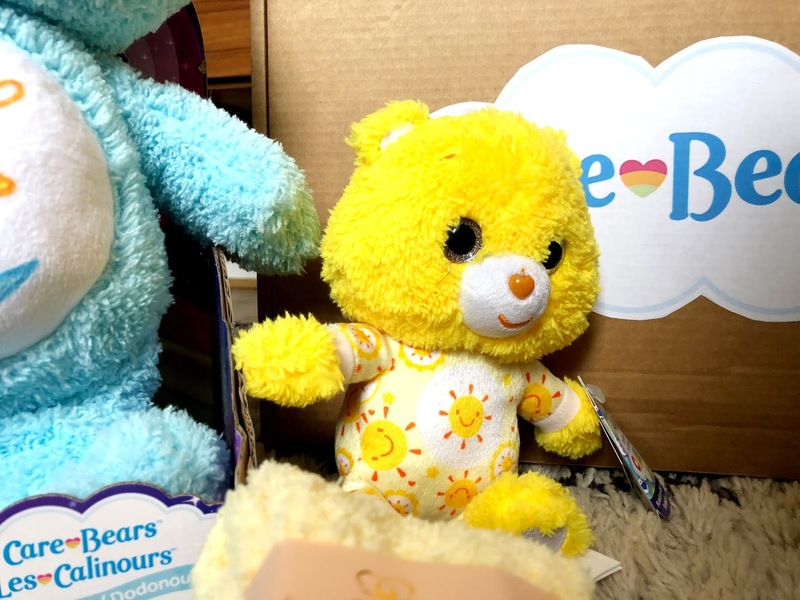 As well as the lovely care items, we received a Care Bears Medium Plush, Care Bears Cubs Plush and a Care Bear Squishems Figure Pack, and I'm sure you can just imagine how excited the kids were. The Care Bears Medium Plush is a decent size, super soft and cuddly. Lovely bright colours and will definitely be a firm favourite in the household. They're so adorable. 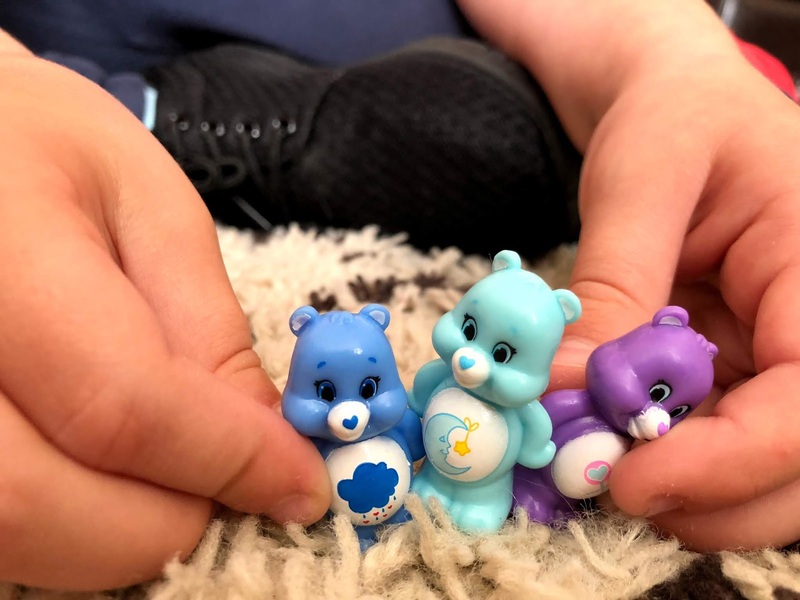 There are now Care Bears Cousins Characters, which are great gifts for the Care Bears fans out there. There are many different ones to collect. These medium plushes are £15.99 from ASDA, Tesco, Amazon and Debenhams. The Care Bears Cubs Plush are just the sweetest. They are the perfect size for little arms to cuddle. Made with soft, huggable fabrics they're just so cuddly. They are dressed for bedtime in matching pyjamas which makes these cub plushes extra adorable. Great for small children and collectables. 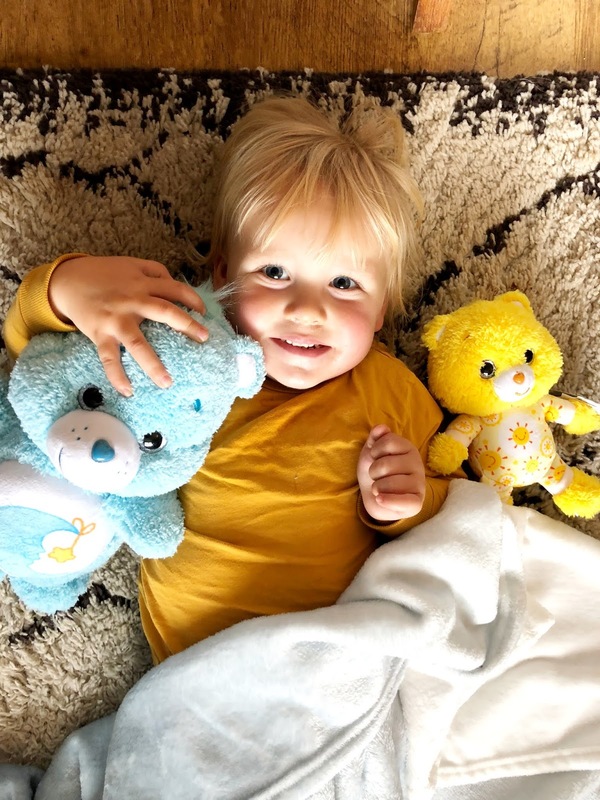 There are four characters to collect including Bedtime Bear, Love-a-Lot Bear, Good Luck Bear and Harmony Bear. You can find these in ASDA and Amazon for £7.99 each. 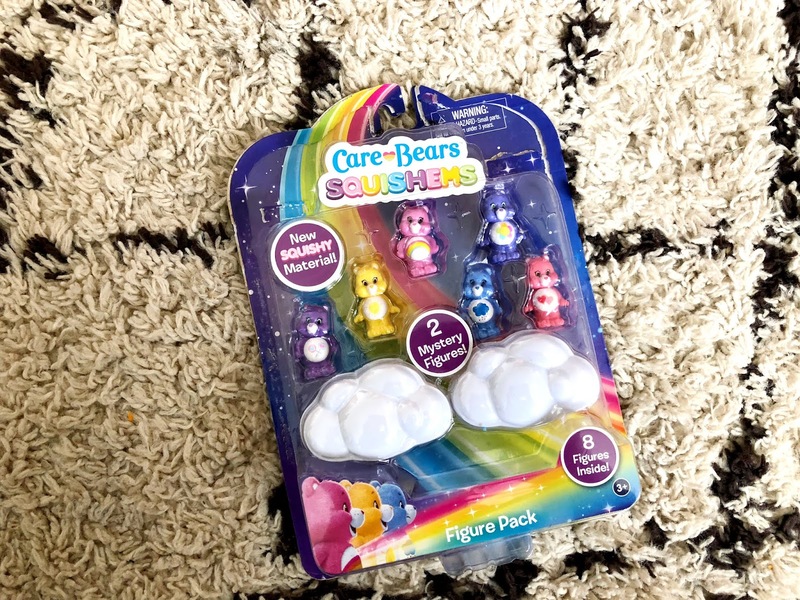 Now onto these adorable Care Bear Squishems Figure Pack. The girls absolutely love these. These tiny squeeze-able figures are great fun for kids. 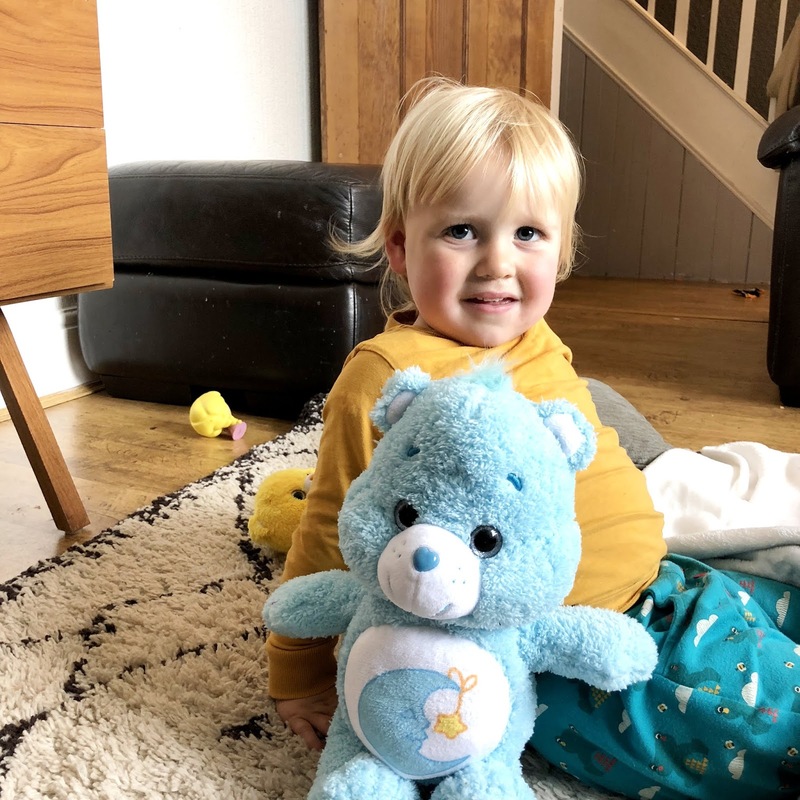 It features all the adorable Care Bears characters and retail at £14.99, and you can buy them on Amazon, Tesco, ASDA and Debenhams. * We were sent these items for the purpose of this review. All words, images and opinions are our own.